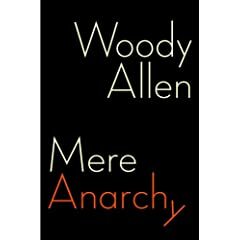 I recently bought a copy of Woody Allen’s new book of short stories “Mere Anarchy”. While nosing around a book shop in Rome, Katherine spotted the Italian edition of the same book. Just take a look at the cover – isn’t it far more interesting? So I bought it – of course – even though I can’t read Italian. I literally judged a book by its cover. And I was quite pleased to.